Ganaraska Wild Steelhead Association: There coming up !! 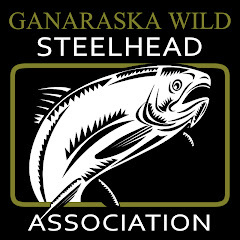 An Association dedicated to preservation and enhancement of The Ganaraska Wild Steelhead and the unique watershed of The Ganaraska River. Fish are going up the ladder pretty good today. Looking like a larger average size! NO COUNTER THAT I COULD SEE. "Our tradition is that of the first man who sneaked away to the creek when the tribe did not really need fish."